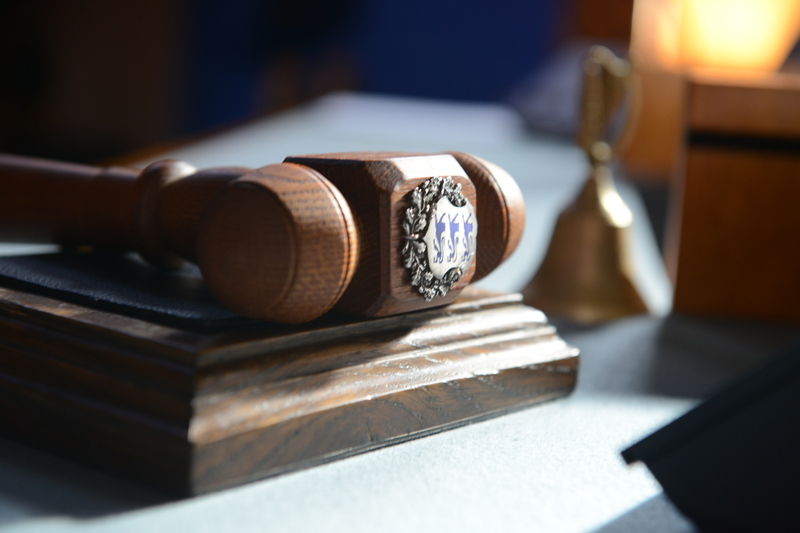 The Riigikogu approved the agenda for the last regular working week of the 13th Riigikogu, which includes 39 items for deliberation. They include the deliberation of the matter of significant national importance “The future of the Estonian tax system”, and the political statement by Minister of Justice Urmas Reinsalu in connection with an analysis of the Constitution. No replies to interpellations have been scheduled for Monday’s sitting. Deliberation of the matter of significant national importance “The future of the Estonian tax system”, initiated by the Reform Party Faction, is scheduled for Tuesday’s sitting. Jürgen Ligi, Chairman of the Estonian Reform Party Faction, Jaan Puusaag, member of the Council of the Estonian Employers’ Confederation, and Ranno Tingas, Ernst & Young partner in Estonia, will make reports. The Bill on Amendments to the Fertilisers Act and the State Fees Act (639 SE) will be at the third reading. Two Bills will be at the second reading: the Bill on Amendments to the Citizen of the European Union Act and Other Acts (Withdrawal of the United Kingdom from the European Union) (781 SE); and the Bill on Amendments to the Code of Civil Procedure and Amendments to Other Associated Acts (establishment of the procedure for declaration of enforceability of decisions of arbitral tribunals made in Estonia) (749 SE). Two Bills will be at the first reading: the Draft Resolution of the Riigikogu “Release of the Justice of the Supreme Court Jaak Luik from the Office of Justice” (801 OE); and the Draft Resolution of the Riigikogu “Making a proposal to the Government of the Republic to Impose Sanctions in connection with the Attack and Seizure of Ukrainian Vessels in the Kerch Strait” (782 OE). At the sitting on Wednesday, 26 Bills will be at the third reading: the Bill on Amendments to the Courts Act and the Code of Criminal Procedure (776 SE); the Personal Data Protection Act Implementation Bill (778 SE); the Bill on Amendments to the Riigikogu Rules of Procedure and Internal Rules Act and the Constitutional Review Court Procedure Act (762 SE); the Bill on Amendments to the Code of Enforcement Procedure and Amendments to Other Associated Acts (exerting pressure on maintenance debtors) (737 SE); the Bill on Amendments to the Code of Civil Procedure and Other Acts (759 SE); the Bill on Amendments to the Penal Code and Amendments to Other Associated Acts (658 SE); the Bill on Amendments to the Government of the Republic Act and Other Acts (merger of the Environmental Board and the Environmental Inspectorate) (789 SE); the Bill on Amendments to the Trade Marks Act, the Industrial Design Protection Act and Other Acts (765 SE); the Bill on Amendments to the Traffic Act (752 SE); the Bill on Amendments to the Official Statistics Act and the Public Information Act (794 SE); the Bill on Amendments to the Accounting Act (795 SE); the Bill on Amendments to the Trade Marks Act, the Principles of Legal Regulation of Industrial Property Act and Other Acts (793 SE); the Bill on Amendments to the Ports Act and the Liquid Fuel Act (780 SE); the Bill on Amendments to the Industrial Emissions Act and the Alcohol, Tobacco, Fuel and Electricity Excise Duty Act (736 SE); the International Sanctions Bill (721 SE); the Bill on Amendments to the Police and Border Guard Act, the Rescue Service Act and the Act on Amendments to Military Service Act and Other Acts (768 SE); the Bill on Amendments to the Estonian Defence Forces Organisation Act (783 SE); the Bill on Amendments to the Rural Development and Agricultural Market Regulation Act (788 SE); the Bill on Amendments to the Plant Propagation and Plant Variety Rights Act, the Administrative Co-operation Act and the State Fees Act (733 SE); the Bill on Amendments to the Release into Environment of Genetically Modified Organisms Act and the Plant Protection Act (681 SE); the Higher Education Bill (725 SE); the Estonian Academy of Arts Bill (730 SE); the Estonian Academy of Music and Theatre Bill (728 SE); the Estonian University of Life Sciences Bill (727 SE); the Tallinn University Bill (726 SE); and the Heritage Conservation Bill (684 SE). Three drafts will be at the second reading: the Bill on the Ratification of the Agreement between the Republic of Estonia and the Republic of Belarus on Social Security (790 SE); the Bill on Accession to the Hong Kong International Convention for the Safe and Environmentally Sound Recycling of Ships (791 SE); and the Draft Resolution of the Riigikogu “The Fundamentals of the State Reform and Good Administration” (777 OE). Minister of Justice Urmas Reinsalu will make a political statement in connection with an analysis of the Constitution. 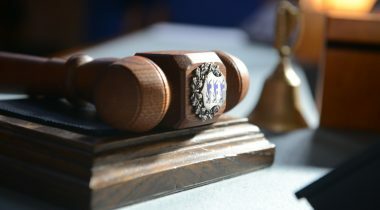 At the sitting on Wednesday, three Bills will be at the third reading: the Bill on Amendments to the Code of Civil Procedure and Amendments to Other Associated Acts (establishment of the procedure for declaration of enforceability of decisions of arbitral tribunals made in Estonia) (749 SE) (if the second reading is concluded); the Bill on Amendments to the Citizen of the European Union Act and Other Acts (Withdrawal of the United Kingdom from the European Union) (781 SE); and the Bill on Amendments to the Estonian Defence League Act (786 SE). During the open microphone, Oudekki Loone, Jüri Adams, Märt Sults, Jaanus Karilaid, Peeter Ernits and Inara Luigas took the floor.